Is Katie Cassidy Leaving 'Arrow?' Find Out! It was recently revealed that Emily Bett Rickards (Felicity Smoak) would not be returning for the eighth and final season of Arrow. So, it's no surprise that fans of the CW series are getting paranoid. Especially when it comes to Katie Cassidy's current storyline on the show. 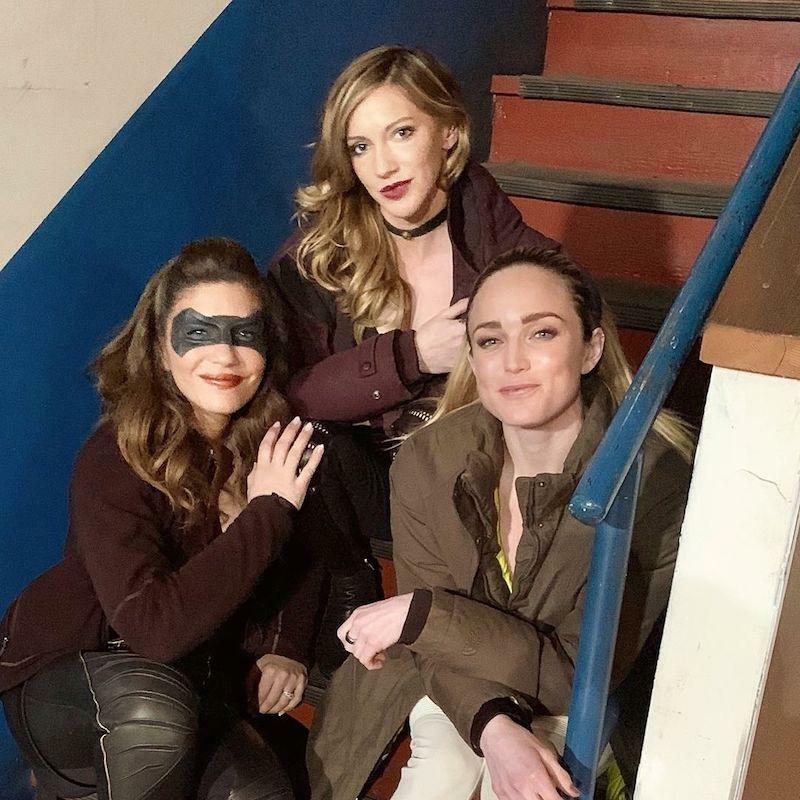 In this week's episode, "Lost Canary," Katie's character Laurel Lance (aka Black Canary) — who had returned to a life of crime — and her partner Shadow Thief were tracked down by Felicity, Dinah, and Sara ahead of their next heist. "Who I see is someone that I believe in, and care about," Felicity told Laurel, who went on to save the trio from Shadow Thief, telling her partner-in-crime, "The deal’s off." After the group toasted to "ladies taking down ladies," Laurel dropped a major bombshell, telling her friends it was time for her to "go home now," to right some wrongs on Earth-Two. So, is Katie (aka Laurel) really leaving Arrow? Katie joined the cast of Arrow back in Season 1, but in the midst of Season 4 she was killed off — or so it seemed. 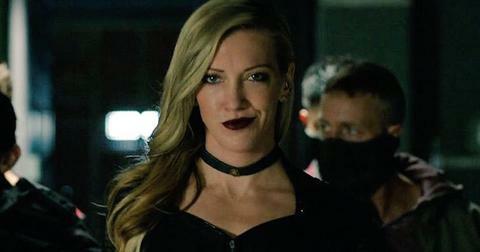 She reappeared during the fifth season as Black Siren, the villainous Earth-Two version of Black Canary. 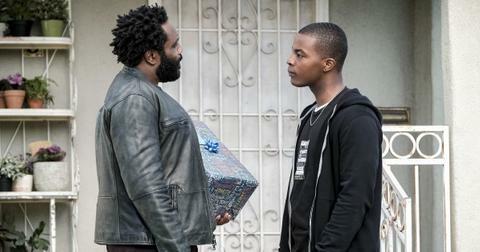 "One of the things that most excites us about Arrow is that we go where the story takes us. Last year, the story took us to the tragic death of Laurel Lance," executive producer Marc Guggenheim said at the time. 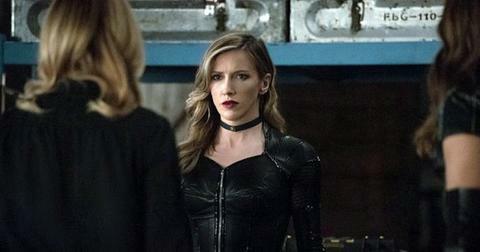 "This year, our midseason finale reintroduced us to Laurel’s doppelgänger, Black Siren. We were so taken by Katie’s fearless interpretation of this character that we knew her story was not yet finished." He continued, "We couldn’t be more thrilled to welcome Katie back to Arrow as Black Siren, though as her appearances on Arrow and DC’s Legends of Tomorrow this season show, she never really left the family." However, that is not the case this time around. "Katie does not leave the show; she comes back this season,” showrunner Beth Schwartz told TVLine. "It appears like [she leaves], but it’s not true. She’s still [part of the show]." It's no surprise fans were freaking out about Laurel potentially leaving the show, since many viewers are rooting for a spinoff centered around the "Birds of Prey." "Felicity, Sara, Dinah, and Laurel working together was what I never knew I needed so badly.." one fan tweeted. Another added, "You playing with my emotions with that Birds of Prey reference. I want a Birds of Prey show dammit... yes I'm one of those few people that watched, still watches, and enjoyed the old WB show. 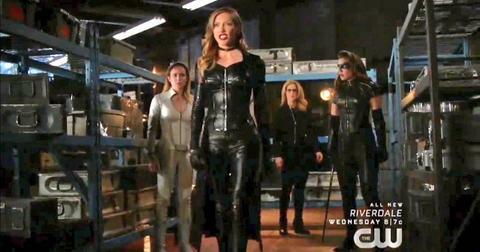 Laurel, Sarah, Dinah, throw in Helena." In fact, Laurel will be in Season 8 as well. Katie herself has even confirmed that she is not going anywhere, and will be featured in Season 8 of Arrow. "We’re doing our [eighth and] final season of Arrow, which will take us to November," she said at the Middle East Film and Comic Con. "I can’t say more yet, until I get the showrunners’ thumbs up, but there’s some pretty exciting things coming up for me." "I like my job, I don’t want to say anything I can’t say and I don’t want to get killed again," she added. "They’ve killed me off and brought me back twice already. It’s awesome." Watch Arrow Mondays at 9 p.m. EST on the CW.